This statistic displays the findings of a survey on the influence of online customers reviews about delivery services on purchase decisions in the United Kingdom (UK) from 2010 to 2014. In 2013/14 survey, it was found that approximately 35 percent of responding households agreed with the statement that a positive delivery review found on the internet had influenced their choice of retailer. 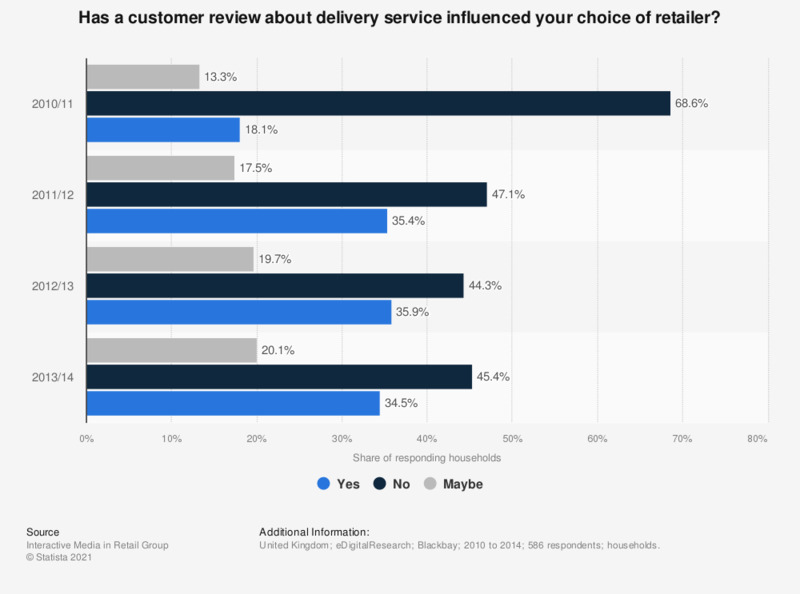 * Original survey question: "Has a customer review (on a retailer’s web site) or social network comment about a company's delivery service influenced your choice of retailer?"